Despite it’s long history in America, Mexican Immigration is one of the most controversial and divisive topics in the United States today. The current political and social climate is primarily due to the high rate of illegal Mexican immigration that takes place along the Texas, Arizona and New Mexico borders. Many Americans feel that Mexican immigrants, especially illegal aliens, take low-paying, low-skilled jobs and consequently depress opportunity and wages for Americans who would work those same jobs. In addition, many Americans maintain that illegal Mexican immigrants who receive public services such as education for their children, welfare and food stamps are receiving those services unfairly as they are funded through taxes—which illegal Mexican immigrants do not pay. Many Mexican immigrants, whether legal or illegal, maintain that they are working jobs Americans will not take and that they are a vital part of the American economy. They often come to America seeking better wages and a higher standard of living than they could ever hope to obtain in Mexico. Although not all illegal Mexican immigrants stay in the U.S., but rather are seasonal migrant workers for California’s agricultural farms, enough immigrants stay behind and raise families to cause an outcry within certain segments of the American population. Even Mexican immigrants who live in the United States legally will often find themselves assumed to be an illegal immigrant and, in some parts of the country, facing open hostility and discrimination. Mexican immigration to the United States is not new. Mexican immigrants make up, by far, the largest segment of immigrants that come to America every year. In 2002, Mexican immigrants accounted for thirty percent of the nearly 10 million recorded immigrants in the United States. Many illegal immigrants from Mexico neglect to go through an immigration service or obtain an immigration visa because they feel the process is too convoluted. Alternately, the potential immigrant simply finds it more affordable and easier to gain access to the United States through illegal entry. This practice is further encouraged by Mexican immigration policy, which prohibits the use of bodily force to prevent Mexican immigrants from entering America. Dire circumstances and incredibly poor living conditions give many Mexicans even more reason to enter the United States illegally and, often times, they are so desperate to escape that the thought of hiring an immigration attorneys or going through the legal immigration process does not even occur to them. Mexican immigration policy in the United States sends a further mixed message to potential immigrants, either legal or illegal. 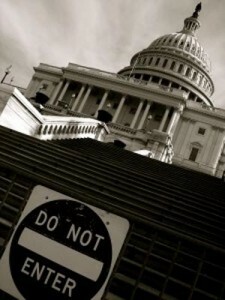 Although most public figures and politicians maintain while campaigning that illegal Mexican immigration must be stopped, there is little in the way of federal enforcement or regulations to actually do so. Once in the United States, the federal government commits an extraordinary amount of money to imprisoning, detaining, trying and deporting illegal Mexican immigrants but the official border patrol is quite lax. Many law-abiding illegal Mexican immigrants simply slip under the radar and raise their children from birth in the United States. As a result, the United States has entire communities where little English is spoken and there are virtually no non-Mexican residents. This, also, has caused resentment among many United States citizens, particularly in “border towns” that grew directly on the U.S.-Mexican border. There are also no federal guidelines that force employers to conduct thorough background checks on potential employees or to request specific documentation. Several local movements, in the form town ordinances or county laws, have had to fight their way through court and often the local law enforcement does not want to enforce the mandates for fear of entangling themselves in an Constitutional battle. Likewise, several border states have organized quasi-militia groups that “volunteer” to keep the border safe by performing ad-hoc patrols. The members of these groups are often licensed to—and do—carry weapons and “train” for operations meant to capture and return illegal immigrants to Mexico. Often, however, these groups are motivated either through racism or, worse, from false Mexican immigration statistics that exaggerate the number of illegal Mexican immigrants, the amount of jobs they allegedly “steal” from Americans or the rate of crime among them. 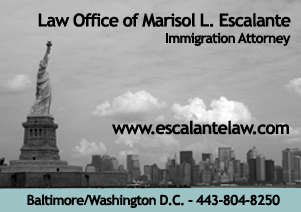 For this reason, even the potential legal Mexican immigrant will find themselves facing a myriad of challenges once arriving in the United States, ranging from social discrimination to workplace harassment. However, often if an illegal Mexican immigrant goes to the local Mexican consulate or immigration office, they will find for the most part that they will be given the opportunity to apply for a visa, green card, or other relevant immigration status. In fact, the majority of immigration attorneys in the southwestern part of the United States specialize in Mexican immigration to the united states and are extremely familiar with both Mexican immigration laws and united states immigration laws.